Marketing Allowable: How much should marketing spend? We talked previously about using value maps as a guide to treating different customers differently as you market to them. Now it’s time to take a look at the idea of Marketing Allowable and how to not spend more communicating to a group of customers than they are worth (to you). The tool we use to do this is the “Marketing Allowable“. In essence the marketing allowable allows you to determine how to invest your budget and limited staff resources to gain the biggest impact. Why You Need a Marketing Allowable? e.g. The sale of a particular product is worth $100 in gross margin. From experience you know the conversion rate for targeted mailings is 1%. The marketing allowable for this scenario is $1. Thus we can spend up to $1 per prospect to and have a profitable outcome. However, consider what the marketing allowable might be for a specific customer loyalty, customer cross sell or up sell approach; the process is not quite so simple. This is often an enormous problem for organisations trying to implement effective customer retention programs. The cycle generally goes like this: Manager one decides that implementing an effective customer onboarding program will generate results. She does not do a specific financial justification for the program but convinces senior management of the value of the idea and implements it very effectively. 6 months go by and the manager moves on to another part of the business (or company) and a new manager comes in. The first cost cutting program is then implemented and, because it has no marketing allowable justification behind it the, very successful, customer onboarding program is cancelled – and along with it, unknown to the organisation for some time, the customer retention rate drops off. Generally to estimate the marketing allowable for a program you will need some sort of model of the effects of the campaign, often in Excel. Here is a simple marketing allowable model that we have created and provide on our website for free. (Get the marketing allowable model here for free). 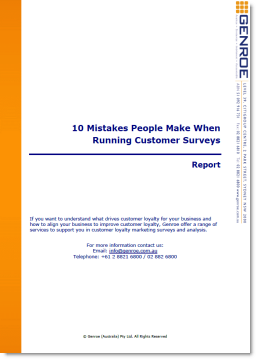 It determines the marketing allowable for a generic customer retention initiative. All of the text in blue are inputs that you can change in the model. Item 3 – the results section shows the changes in net present value for the expected change in customer retention rate show in section 2. As you can see from the model, for this situation, moving the customer retention rate from 85% to 90% generates a $37 improvement in customer value. This is the marketing allowable for this campaign. Let’s look at a slightly more complex model that we developed for one of our customers. In this case the model is also a customer retention model and estimates the value that the organisation will generate from implementing initiatives that will change the customer retention rate. In this case the organisation had modelled and allocated a retention propensity to each customer and so the model produced was designed to allow the organisation to profile the marketing allowable for different retention propensities and target improvements in attrition rate. The chart shows that marketing allowable breakeven point for three different contact types for this organisation. As you would expect a smaller reduction in attrition rate is required for lower cost contact types. For this organisation the model allowed them to determine which contact type to use for customers with a different retention propensity. Customers with a lower retention propensity received a more costly but also more impactful outbound telemarketing call. Customers who were already very likely to stay with the organisation received a direct mail or email piece. In this way the organisation was able to optimisation the budget they spent on different customers so that they spent the minimum possible but necessary on each customer contact. We find the marketing allowable approach is a great way to ensure that you do not overspend on keeping your customers, leaving something in the budget for the Marketing Department’s Christmas Party! That’s a couple of example models, let’s extend the marketing allowable approach to a generic model and demonstrate the real business benefits. The actual model is the centre of the process. Different models can be built for different scenarios including retention, cross sell, acquisition and up-sell. It is of course essential that the model be a good representation of how customers operate in practice but it should not be so complicated that no-one can understand it. ‘Do’ Marketers have a bias towards action, so start somewhere simple – you can always make it more complex as you go. There are two passes in this approach. In the first pass determine the break even customer values by feeding in customer values, product values, retention rates, etc. This will provide you with a good understanding of the customer profiles at the break points for each program. For instance customers with a retention propensity of less than y and customer value of more than z should be in the outbound tele-contact program. Those with a propensity higher than y should be in the direct mail program. You now know what is effective and economic for each customer contact. Then you can go back to your customer data and generate the qualifying customer volumes for each of your different programs or initiatives. Using this information you can then use the same marketing allowable model (if you have built it correctly) to generate all of the operational details that will allow you to manage your business. You will be able to determine how many staff you need in the contact centre, what your direct marketing budget should be, the incremental value that the initiative will generate for the company. In short you will be able to plan and justify you plan for every part of your customer contact program. A really powerful way to demonstrate the value that marketing generates and justify the budget that you require to deliver that value (we think). What do you use to decide how much to spend on comms to different types of customers?